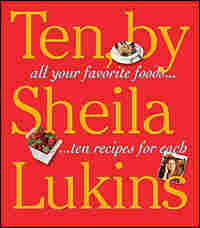 The 10 Best Cookbooks Of 2008 If there's any unforeseen upside of the economic crisis, it's this: People are cooking again. This year's collection of cookbooks promises surprisingly delicious weeknight dinners that don't dirty every pot you own, made from ordinary ingredients. The last few years have been rich in cookbooks for kitchen explorers — the briners and gardeners and smokers, the hunters of black cardamom and Aleppo pepper. But this year's books are for your average cook, who's not new to the kitchen but needed a reason (like the economy, stupid!) to return to it. It's a vast but practical collection that promises weeknight dinners that don't soil every pot you own, made from ordinary ingredients. The regional and ethnic cookbooks — and there are some fine ones, particularly from the Far East — are mostly homey, one-pot affairs. 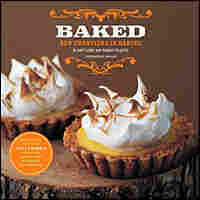 Even the more adventurous baking books owe more to deep-seated cravings than culinary ambition. If last year's books tried to teach you everything from shucking a clam to boning a duck, this year the point is just to get in the kitchen and cook. Or, with apologies to two campaigns that put "kitchen-table" issues front and center this year: Dinner first! Can we cook it? Yes, we can! It used to be that you could find two types of table-of-contents in cookbooks: either "Appetizers, Mains, Sides, Desserts" or "Spring, Summer, Autumn, Fall." 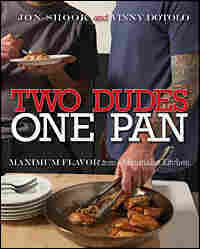 Not so in Two Dudes, One Pan, where the chapters are entitled "Non-Stick Pan," "Dutch Oven," "Baking Dish," etc. Thanks to smart sequencing and the canny blending of raw and cooked ingredients, every recipe in this book can be cooked in a single pot or pan. It's a boon to those of us who for years have been secretly streamlining and cutting corners in recipes just to avoid dirtying another pot. This realpolitik approach may not be the most aspirational sort of cooking, but at least it's honest — not to mention wonderfully delicious. If you're the house dishwasher, your best bets are going to be all-in-one meals like Seared Scallops, Shiitake Fricassee, and Garlicky Spinach or Lamb Loin Chops on Corn Hash. But then you'd miss out on Shook and Dotolo's surprisingly provocative yet simple sides, like Blistered Zucchini Skillet Gratin and Garlic-Braised Brothy Escarole. The truth is, a lot of us aren't that different from my 7-year-old, who could happily eat pork every night. Some things are just so good — burgers, spring asparagus, pasta, tomatoes — that no matter how often you have them, they're worth getting to know better. Speaking as a baked-chicken junkie, I know it's only a matter of time before Lemon Herb-Roasted Chicken Drumsticks or Orange-Ginger-Tomato Glazed Chicken enters my regular rotation of chicken standbys. Some categories, like "Great Grains," smooth the path to less familiar families of food with bright, colorful, forgiving recipes, like Wheat Berry Salad With Pineapple and Cranberries. But Lukins' main argument is bound to be a welcome one as people tie on their aprons again: It's OK to love your comfort foods — and, as with your favorite jeans or a happy marriage, comfortable doesn't need to be boring. Honestly, why waste your time trying to convert people to okra when you could be eating 10 different kinds of mashed potatoes? Should cooking shows be heard rather than seen? Step aside, Food Network. 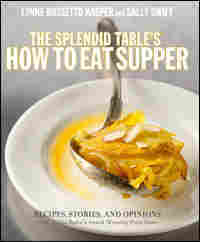 This year's Best Book Based on a Cooking Show award goes to radio's own Splendid Table. Having talked the talk for 20 years, Lynne Rossetto Kasper and Sally Swift are now walking the walk with the most user-friendly general cookbook currently on the shelves. Streamlined but never austere, a generous number of these recipes, like Scallion-Dill Pilaf, became instant classics in our household. Other favorites were Sweet Roasted Butternut Squash & Greens Over Bow-Tie Pasta and Tamarind-Glazed Pork Chops. The book's liberal sprinkling of biting food quotes are as hard to resist as its portfolio of smart, weeknight-ready recipes. From Diana Vreeland: "People who eat white bread have no dreams." T.S. Eliot: "Never commit yourself to a cheese without first examining it." And, from that venerable wit, Anonymous: "'Carpe Diem' does not mean 'Fish of the Day.'" For a guy who's made his reputation stripping things down to their bare essentials, Mark "the Minimalist" Bittman has built a sprawling empire: print, TV, and more than a dozen books. He hardly needs my stamp of approval, but the update of HTCE is just too good to pass up. It's not that there was anything wrong with the old one, but this one's a triumph of organization. Prep times are up front; indexes abound. Colorful icons ("F" for fast, "V" for vegetarian) look like they're telling you which subway train to take to Kitchen Central. The illustrations are particularly helpful when you're trying to find your way around a fish frame or knead fresh pasta for Ravioli Nudi. Also, it takes a certain amount of guts to admit the obvious: Roast Leg of Lamb is perfectly good seasoned with nothing but salt and pepper. You don't need any fancy artisanal ciabatta to make Bread Pudding — just use whatever's sitting around going stale. 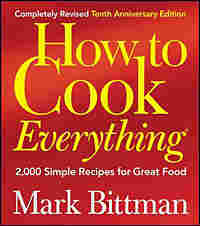 Forget about "desert island" books or CDs — if I ever get marooned, I'm taking Mark Bittman. At least we won't starve. New England's culinary heritage was forged in hardship: Everyone knows the Puritans would've starved if not for the Native Americans, with their proliferating squash and chewy pemmican. The growing season here is short, with brutal bookends. Yet in time, the foods dictated by necessity developed into a heritage worth savoring: salt cod, cured pork, fresh dairy, maple, apples and their cider, fresh corn and so on. A Master Class transforms this rather wintry fare into one memorable keepsake after another: Butter-Poached Cod With Creamed Leeks, Vermont Apple, Cob-Smoked Bacon and Cheddar Cheese Frittata and Lobster Potpie. 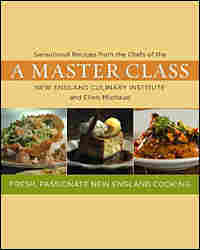 Unlike many cooking-school books, these are scaled to home-kitchen size and made with realistic equipment. Granted, the pictures are depressingly perfect. But what can you expect from people whose knife skills directly correlate to their GPA? I never open this book without being struck by the diversity, comprehensiveness and sheer size, which led me to call it "the best 3-pound paperback of the year" in an earlier review. Don't be fooled by the title — these are no more the orange, gluey curries you might have encountered in the 70s than Google is a card catalog. Raghavan Iyer's definition of curry is encyclopedic: whether meat, seafood, vegetable, fruit or grain, if it's cooked with spices and has a sauce, it's curry. 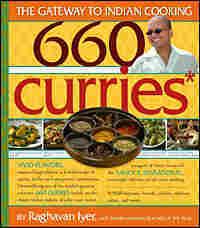 You could almost think of this book as an all-curry Joy of Cooking. Even though you may have to familiarize yourself with your Asian grocery to find a few of the ingredients, there's nothing finicky about these recipes. They come from home kitchens, and for the most part, they translate without a hitch. Some cook in a flash, like Pan-Grilled Sea Scallops and Garlic Shrimp With Unripe Mango. Others, like Tart Chicken With Roasted Chiles, Tamarind & Coconut, will perfume your house for an hour, driving you to madness as your appetite sharpens. 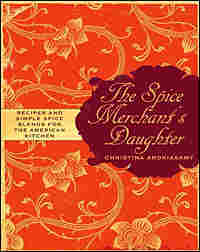 To continue the theme of making your house smell like a spice barge: This elegant little book is for those of us who hunger for dishes that explode onto the palate. 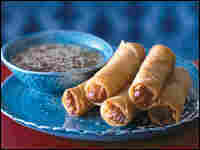 The first time I tried one of these recipes, I was tasting things in places I didn't even know had taste buds. Yet that mysterious, intoxicating spectrum of tastes — the cultural legacy of Singapore, Malaysia, Indonesia and beyond — is apparently made of building blocks like any other: lemongrass, galangal, chiles, lime leaves, coconut milk and so on. Though packed end-to-end with treasure, I wouldn't say this is a "dive in anywhere" sort of book. Make yourself a couple of the spice pastes first — say, the universally useful cilantro-garlic paste or the roasted chile paste — wrap them up, and freeze or chill them. Then you'll have them handy when you get to Red Curry With Bamboo Shoots, Tofu and Zucchini or Green Beans With Roasted Chile Paste. You'll soon find you no longer remember how to make a stir-fry without them. Or, if you're the sort of swimmer who prefers to dip a toe in first, try some of the ones you can make without the extra amplification of a spice paste — Basil Fried Rice and Garlic Prawns come to mind. I'm not sure there is a craving that is more urgent than the craving for pho, the Vietnamese beef soup. The broth is deep, clear and complex, and it tastes like it took a whole day to make it. The bad news is, it did. The good news is, you can now learn to do it yourself if you really want to, thanks to the astonishing Secrets of the Red Lantern. The oldest daughter in a family of chefs, Australian Pauline Nguyen has combined a book full of classic, meticulous Vietnamese recipes with a powerful personal memoir. If tackling a 24-hour broth is more than you can face, you could instead surrender to the narrative: one tempestuous, unforgettable story after another, including an escape from war-torn Vietnam, a childhood marked by fabulous food as well as violent racism, a despotic father and life as a young runaway. If you can finally tear yourself away, you may find inclined to try some of the more accessible recipes, like Bitter Melon Stuffed With Pork and Black Fungus or Red Lantern Crisp Parcels. 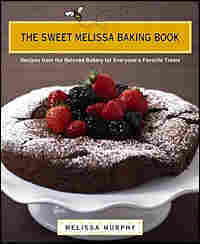 Under the right circumstances, baked goods can be a kind of joy transfusion, and Sweet Melissa's bakery in Brooklyn is the sort of place people go to lick their wounds, nurse their passions, and reward their little victories. Though the treats are familiar, many are touched with the scent or taste of something slightly unexpected: burnt orange buttercreams or thumbprint cookies with pistachios instead of almonds. It's worth laying down memories now — just for the sake of tomorrow's nostalgia — by trying the justly famous Chestnut Honey Madeleines, eaten either straight or with a lime-flower tea chaser. That said, this book pays tribute to traditional, straight-ahead decadence as well: Chocolate Raspberry Truffle Torte, classic red velvet cake, chocolate walnut brownies. Well-worn standards all, but anybody who says their time has passed is simply not facing facts. Stir It! Shake it! Mix it! Bake it! Some 20 blocks away from Sweet Melissa's is the edgier but equally alluring Baked (what is it with these Brooklyn bakeries?). This may say more about me than proprietors Matt Lewis and Renato Poliafito, but the first thing that caught my eye on opening their book was the booze, which seemed to be everywhere: Chocolate stout milkshake, bourbon chocolate pecan pie, espresso martini, grasshopper cake with creme de menthe. On closer inspection, the recipes proved, if not always alcoholic, uniformly intoxicating. 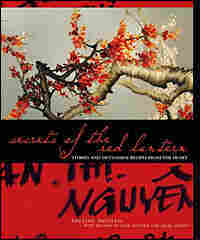 It's not so much the kick of spirits as their untamed, anything-but-vanilla flavor that this book pursues so vivaciously. Unlikely flavor marriages abound here: sweet with sour, as in Sour Lemon Scones; or sweet with the gentle ferment of malt, as in Brewer's Blondies. The treat most emblematic of Baked's contrarian pleasure principle is probably its signature Sweet and Salty Cake, which weds the guilty pleasure of caramel with a righteous dose of sea salt. There are certainly less twisted ways to satisfy a sugar jones, but ask yourself: Are they really this much fun?